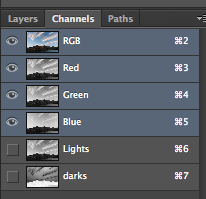 Choose an image and make the 4 light and 4 dark luminosity masks saving each one and renaming appropriately. If your not sure how to do this review the luminosity masks on the PHOT 151 page. 2. Click on the RGB channel and then command A to select all. 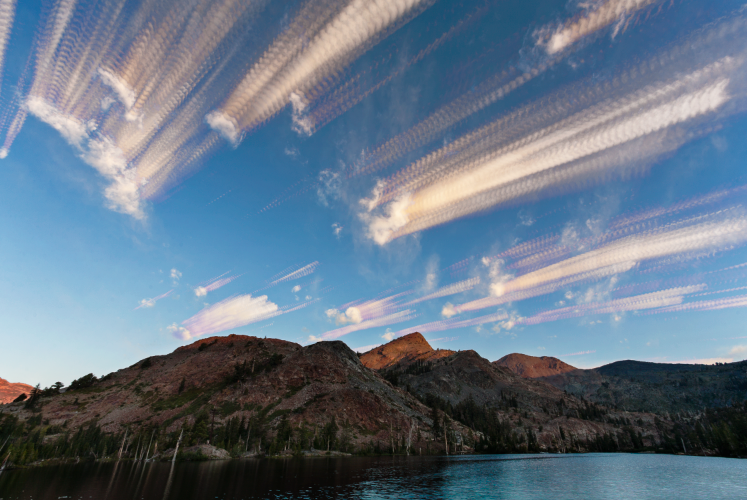 You should see marching ants around the entire image. 3. Option-command click on the “Lights” channel. 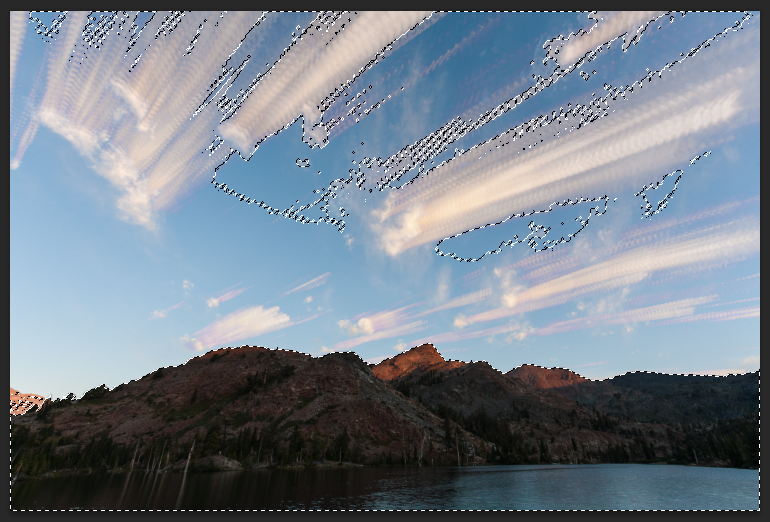 You should see lighter portions of your image with marching ants. 4. 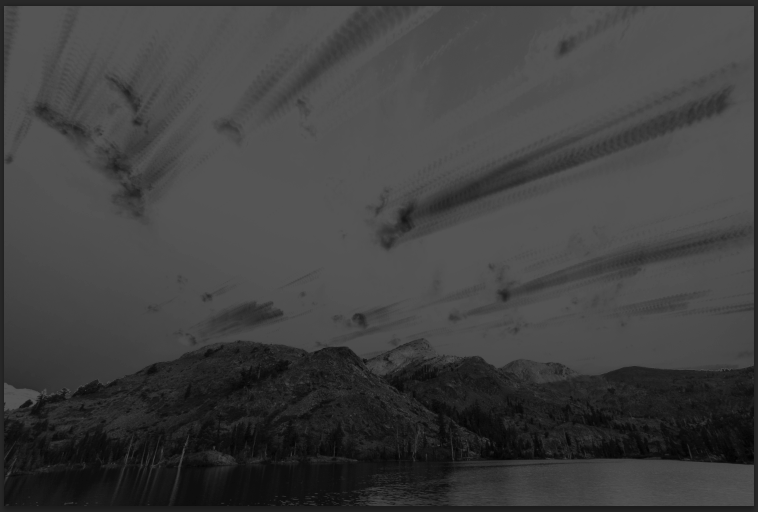 Now option-command click on the “darks” channel. 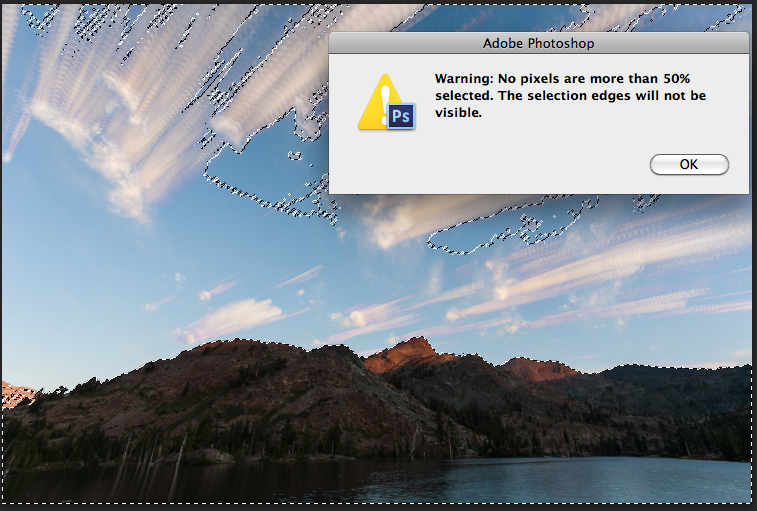 You more than likely will get the warning “no pixels are more than 50% selected. Just ignore this and proceed. 5. 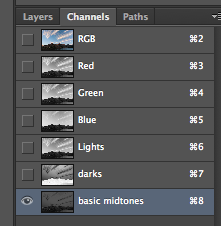 Save this new channel and rename “Basic Midtones. 7, Because of the type of mask created, your adjustment should be aggressive. 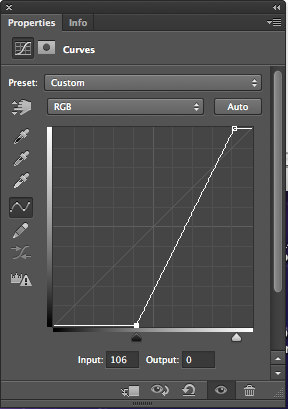 For example here’s a curves adjustment.